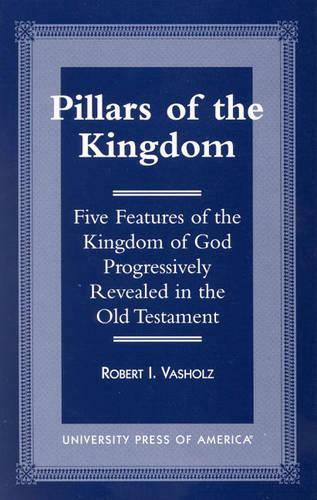 This book is a historical-theological treatment of five aspects of the kingdom of God in the Old Testament. It views these aspects under the following rubrics: kingdom politics, pilgrims, presence, profile and progress. Kingdom politics pertains to how the kingdom was administered; kingdom pilgrims as to how the citizens of the kingdom are identified and characterized; kingdom presence to the way by which the Deity is revealed; profile pertains to kingdom virtues; and progress to the expression of kingdom triumphs in the face of adversities. Most works in Old Testament biblical theology have stressed salvific and redemptive themes to the exclusion of these other features. These features provide the opportunity to understand the continuity of the Old Testament in a persuasive and vivid manner without simply reiterating what has already been written over and over again. This book interfaces with the lively discussion on the new discipline, Progressive Dispensationalism, lauding some of its advances while expressing some reservations.